Two women were found dead after a fire destroyed a mobile home in Largo early Friday, and police say the fire seems suspicious. 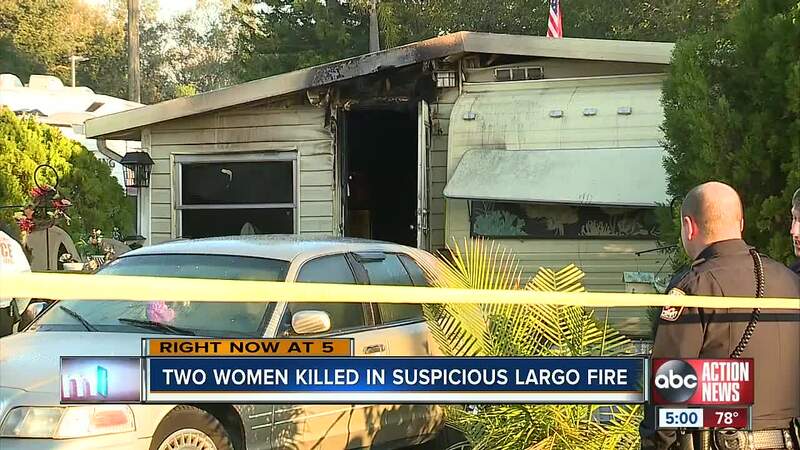 PINELLAS COUNTY, Fla. — Two women were found dead after a fire destroyed a mobile home in Largo early Friday, and police say they're investigating the deaths as suspicious. 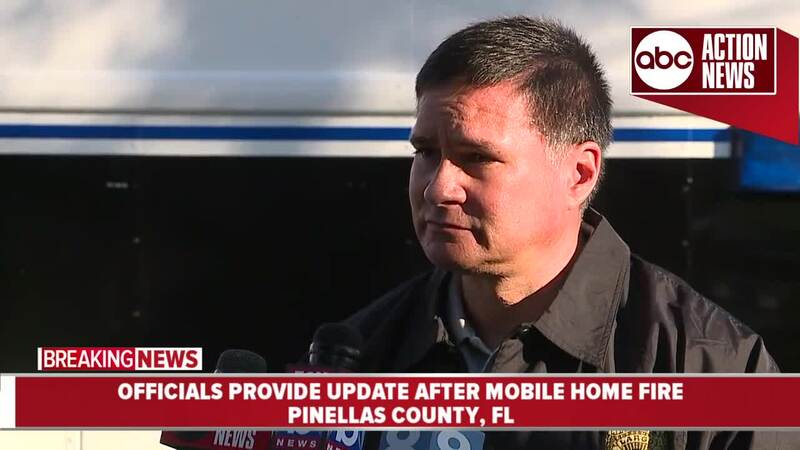 “Where the bodies were located and the conditions of the bodies led us to believe it was possibly foul play,” explained Lieutenant Randy Chaney of the Largo Police Department. The Largo Police Department says they have determined the incident to be a murder-suicide. They identified the two women as Diane Marie Morrocco, 52, and Carol Ann Benton, 50. Largo detectives say Morrocco stabbed Benton to death in the early morning hours of February 8, 2019 and then Morroccoo apparently attempted to kill herself with a knife following the murder. She reportedly set fire to the bedroom area and died inside of the bathtub from carbon monoxide toxicity. Neighbor John Bates says he called 9-1-1 at 5:17 a.m. when he saw the walls caving in on the mobile home next to him at Avalon RV Resort Park. “There was a real loud thump and the wall of the unit next to me where the ladies live collapsed and flames came shooting out,” Bates explained. Bates, who is a retired police officer from Canada, says he immediately started banging on the door. Another neighbor, who happens to be a retired firefighter, tried using a crowbar to pry open the door and help the women inside. Yet, the flames were too intense. Bates says they were easily reaching 14 feet in the air. “I’m a light sleeper, I heard no cars. I didn't hear anything until the walls collapsed," Bates said with a sigh. Bates says the fire department arrived quickly to the park at 16860 Highway 19 in Largo. Firefighters doused the flames, but Bates says his neighbors were already dead. “I don’t think she had an enemy in the world to my knowledge and I’ve lived beside her for a number of years,” Bates elaborated. "I never met her roommate." The Largo Police Department says Morroccoo had prior history of Baker Acts and mental health issues, according to her family.